Trustworthy information, straight from the source. Education is the first step in an empowering healthcare plan. Learn more about respiratory distress syndrome in newborns from diagnosis to treatment. Respiratory distress syndrome (RDS) is a condition that causes breathing problems in newborns. This condition is also called hyaline membrane disease. It may start within minutes or hours after your baby is born and is most common in premature infants because their lungs may not be fully developed. When lungs are not fully developed, they may not make enough surfactant, a substance made inside the tiny air sacs of the lung tissue. Surfactant keeps the tiny air sacs open so your baby can get enough oxygen as he or she breathes. Without enough surfactant, the air sacs collapse and cause breathing problems. What increases my child’s risk for RDS? Born to a mother with diabetes. Has a sibling who had RDS. Did not get enough oxygen before, during or just after birth. What are the signs and symptoms of RDS? Fast breathing, or periods of no breathing. Grunting sounds, especially on the exhale. The skin between and around the ribs pulls in when your baby inhales, or the middle of the chest may sink deeply. Nostrils flare as your baby breathes. Your baby has pale or blue skin, lips and nails. Blood gases: These tests are also called arterial blood gases (ABGs). Blood is taken from an artery, usually in your child’s wrist. ABGs may be done if your child has trouble breathing or other problems caused by the illness. Blood tests: Blood may be taken to learn if your baby has an infection or other problems. Your baby may need to have blood taken many times. Chest X-ray: This is a picture of your baby’s lungs and heart. Healthcare providers may do X-rays to learn if your baby has RDS or other problems. Pulse oximeter: This is a machine that tells how much oxygen is in your baby’s blood. Healthcare providers use this machine to see if your baby needs more oxygen. Oxygen: Your baby will need extra oxygen to help aid in breathing. The oxygen may be warm and humidified (mixed with water vapor). Healthcare providers may place a clear oxygen hood over your baby’s head. Your baby may need continuous positive airway pressure (CPAP) given through nasal prongs. The nasal prongs are gently inserted into your baby’s nostrils and taped in place. CPAP helps keep air in your baby’s lungs. Endotracheal tube (ET) tube: An ET tube may be put down your baby’s throat or nose. A long plastic tube connects the ET tube to a breathing machine called a ventilator. As your baby gets better, healthcare providers will wean your baby from the ventilator. This means they will check to see if your baby can breathe without help from the ventilator. Once your baby is able to breathe without the help of a ventilator, healthcare providers will remove the ET tube. Chest physiotherapy and suctioning: Chest physiotherapy (CPT) and suctioning may be done often. Healthcare providers do this to loosen the mucus in your baby’s lungs and keep airways clear. This will help your baby breathe easier. A healthcare provider will tap on your baby’s chest, then remove any loose mucus. Surfactant replacement therapy: Surfactant is given to your baby through an ET tube. It may help prevent RDS or make it less severe. Your baby may receive one or more doses. Bronchodilators: This may be given to open up your baby’s airways to make breathing easier. Diuretics: This may be given to help your baby’s body get rid of extra fluid or water. This may help your baby breathe easier. Pain medicine: This may help keep your baby calm and comfortable if there is any pain. Sedatives: This helps keep your baby calm during recovery. What questions should I ask my child’s provider about RDS? You should ask your provider what you can do to manage your baby’s RDS and the best ways to comfort your baby. You may sit at your baby’s bedside to provide comfort and support. You may talk to or stroke your baby gently. If you plan to breastfeed, it is important to start pumping your breasts as soon as possible. 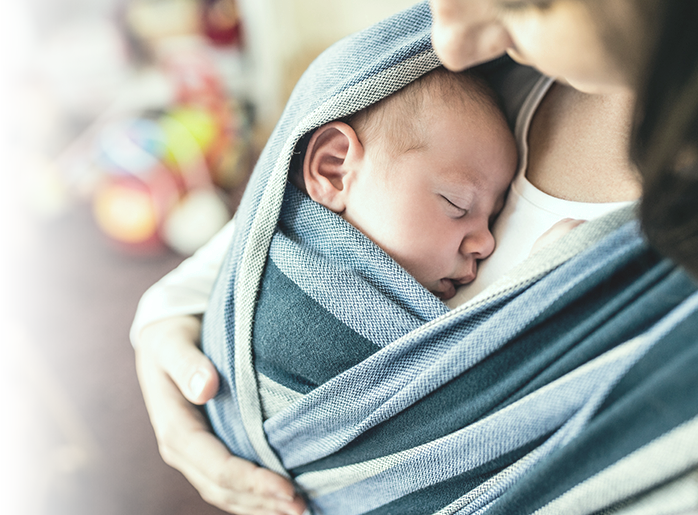 Ask healthcare providers for information about using a breast pump to collect your milk and how to store the milk for your baby to drink later. When should I contact my child’s provider or seek immediate care? Your child has a fever of 102° F (38.9° C), or above 100.4° F (38° C) if your child is younger than 6 months. Your child is having trouble breathing.